Gamma quadrant space facility. 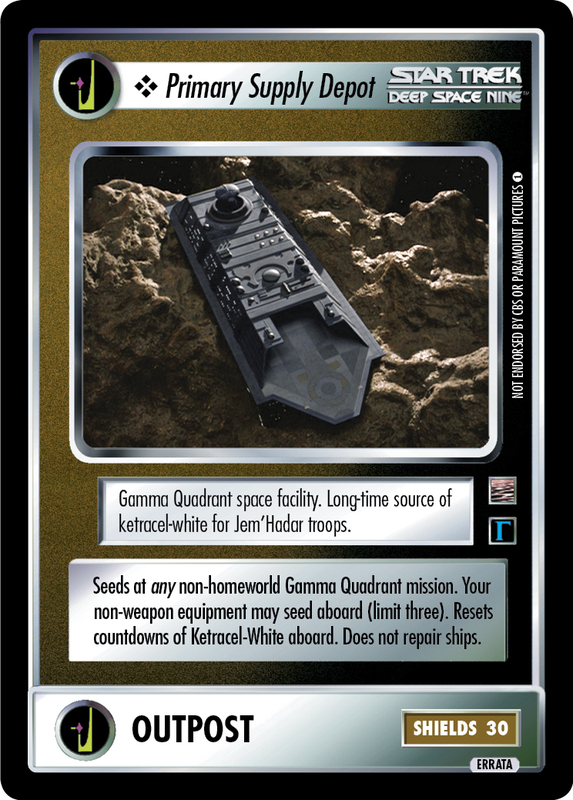 Long-time source of ketracel-white for Jem'Hadar troops. Seeds at any non-homeworld Gamma Quadrant mission. Your non-weapon equipment may seed aboard (limit three). Resets countdowns of Ketracel-White aboard. Does not repair ships.